These pages were updated on 2014/06/30. They still contain the same content the previous versions did, but look about a thousand times nicer and feature all new art. We chose these specific ‘photos’ because we wanted to make them look as though the ESI could have taken them from their houses or social media while investigating. We’ve released declassified versions of these for our Patreon supporters! The declassified versions are not only NOT blacked out, but they’re also covered in notes, post its and other fun Easter eggs that the website versions are lacking. 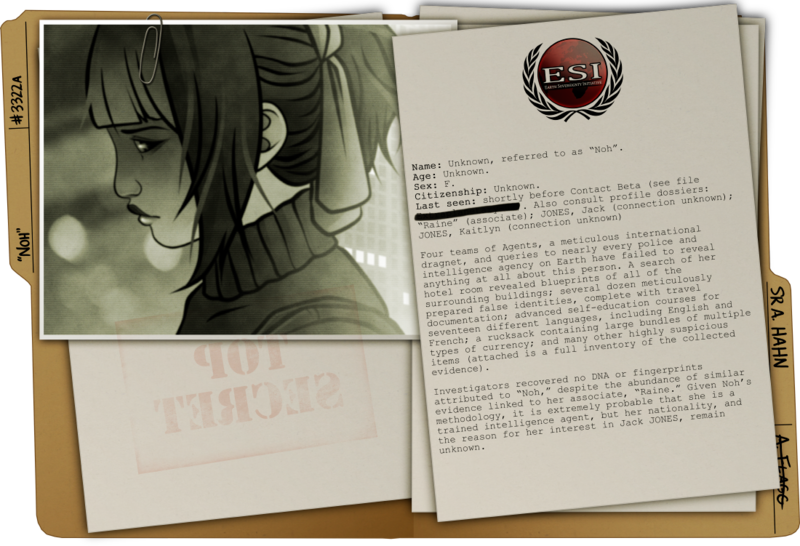 You can become a patron at any time, and if you’re already one, you can get the download link for the declassified files HERE!